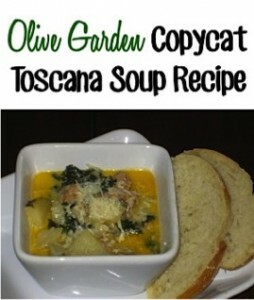 Make your own delicious Toscana Soup at home using this easy Olive Garden Copycat Toscana Soup Recipe! 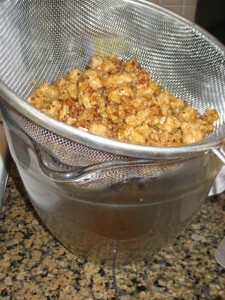 by Sarah at AThriftyMom.com… enjoy!! One of my favorite things to do is go out to eat, someone else cooks it, cleans up and all I have to do is enjoy it! But, I always feel sick once the bill comes and I realize I have paid as much for one meal as a whole cart of grocery’s . In order for me to stay home and raise my kids, eating out is one of the things we have cut out. We try to fit it in our budget at least once a month. So instead I have learned to make some of our favorite restaurant meals at home. 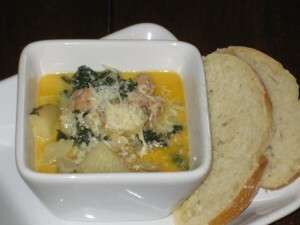 One of our favorites is the wonderful sausage, potato soup at Olive Garden. I made my own Olive Garden Copycat Toscana Soup Recipe this weekend for my family, and I thought I would pass this thrifty recipe on to you! 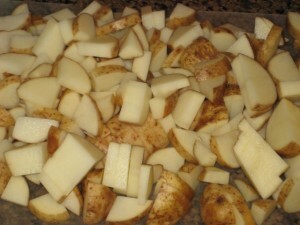 This recipe will make a LARGE pot of soup and normal feeds my family a few meals. Or we share with friends! 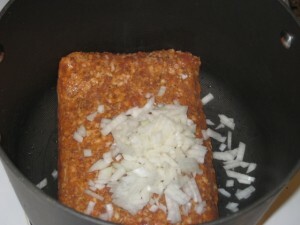 Put the sausage and diced onion into a large soup pot. 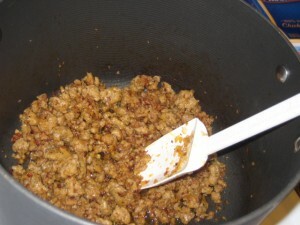 Once the meat is cooked, drain the grease and set sausage aside. Turn heat off on the stove, allowing the pot to cool. 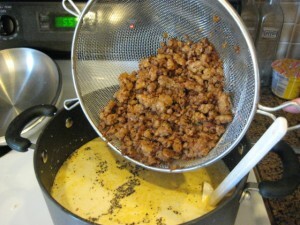 Now add the drained, cooked Sausage back to the pot, stir well, and turn stove back on to Medium heat. 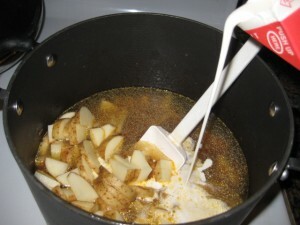 Slowly bring to a boil over medium heat, stirring every few minutes so you do not scald the cream. 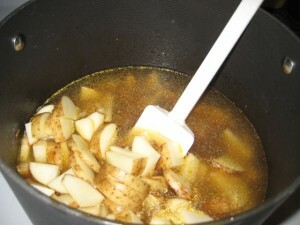 Once it comes to a boil turn down to medium / low heat so it can simmer for 20 minutes. 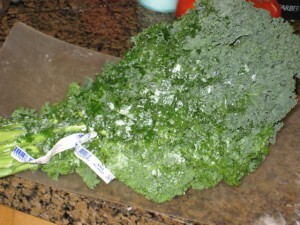 While your soup in simmering, wash your Kale very well, it has lots of green leaves for dirt to hide in. 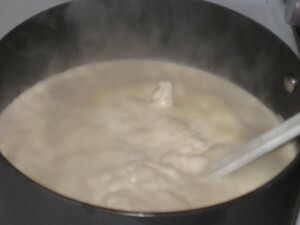 Once you have washed it, take off the stock, it is not very good for eating. You just want the Kale leaf. 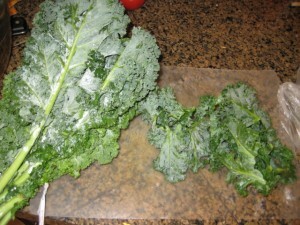 Then chop the kale into small bite sized pieces. 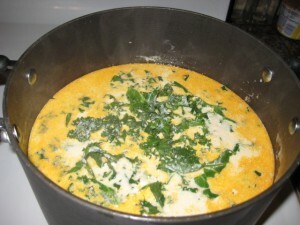 Once the soup has been simmering for 20 min, add chopped Kale, cover, and simmer another 30 mins. 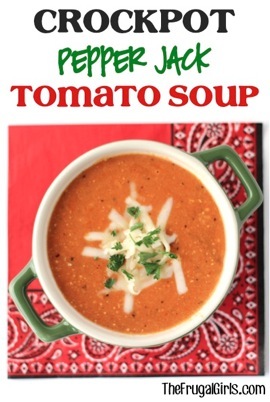 Top with a little bit of grated cheese, and enjoy! 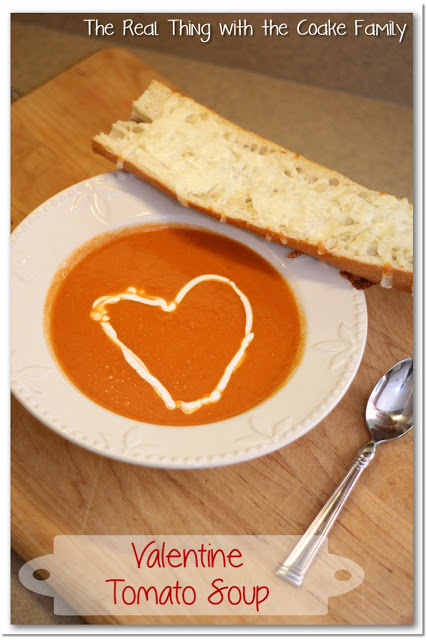 Me and My hubby LOVE this recipe. We got it a year or so ago. It's VERY yummy. 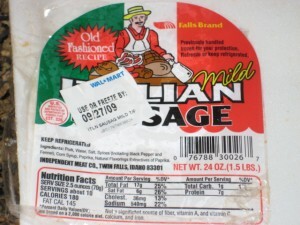 Even better than Olive Garden, don't you think? That looks and sounds really yummy! I need to get leafy greens into our diet more. Thanks for sharing this!! 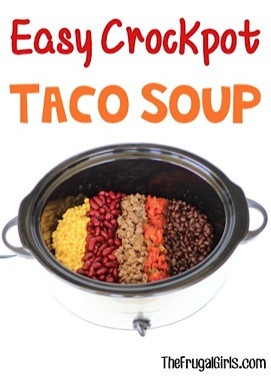 We've been making this at home for years, and it truly is great–full of flavor and easy! All four kids like it, which is unusual in our house!